How Much:$14.99 advance, $20 day of show. Only $10 for ages 16 and under so bring the groms! Details:Get your tickets now for this one-night only premiere! Sacramento, get ready - on Thursday, October 18, TGR is heading to the Crest Theatre for a one-night only premiere of our new ski and snowboard film, Far Out, presented by REI. 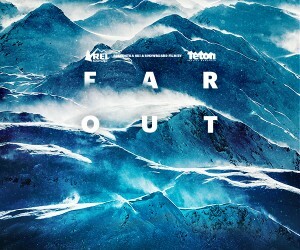 Join us for an epic night with Far Out on the big screen, a ton of prize giveaways from our partners at Yeti, Atomic, Volkl, The North Face, Outdoor Research and more. Plus, all attendees will have a shot at our tour grand prizes including FOUR different trips this year - to Alyeska (including both resort and heliskiing), and in the lower 48 to Jackson Hole, Crested Butte and Ski City (Salt Lake).